Republic is perfectly situated for access to East London’s rich and diverse amenity offering – which can all be easily reach by foot, bike or public transport. To the south west of the campus is Canary Wharf – with its iconic skyline and over 300 shops, cafés, bars and restaurants. It is also home to one of London’s biggest roof gardens, an Everyman Cinema and a diverse year-round arts and events programme. 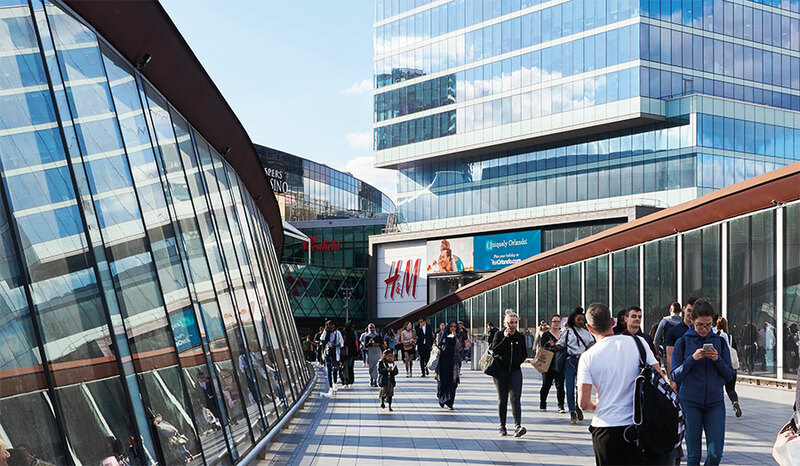 Stratford and the Queen Elizabeth Olympic Park are to the North – with some of London’s best sporting facilities, parkland as well as Westfield Stratford City for those in need of retail therapy. 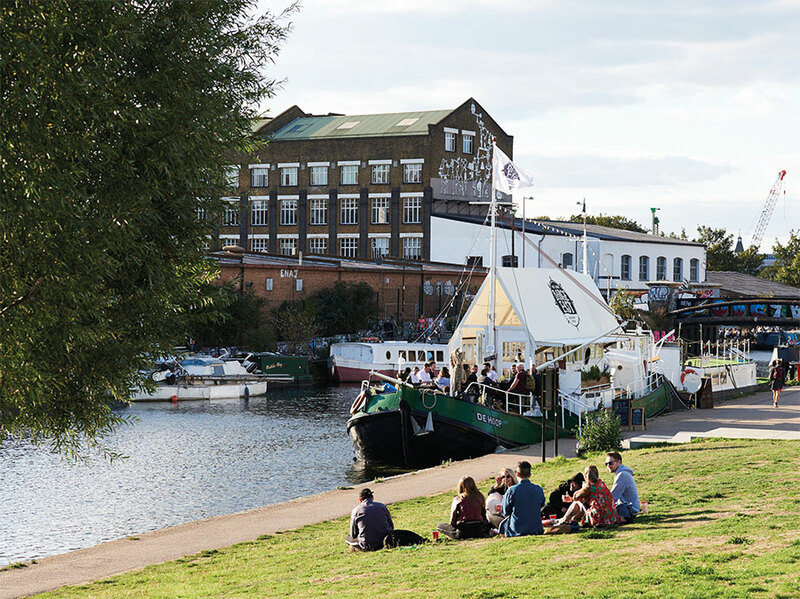 Hackney Wick, Fish Island and Victoria Park is where a growing creative community thrives – alongside a lively social scene. An iconic production destination in the heart of east London’s creative community. Situated on an Island oasis, 3 Mills has outstanding studio facilities for shooting, producing or rehearsing for film or stage. Separated into two parts, it features football pitches, an area for nature conservation with a wildflower meadow and woods, tree trail and fishing. Features an extensive programme of music, film, theatre, dance, art, fashion and more throughout the year, plus over 300 shops, cafés, bars and restaurants. 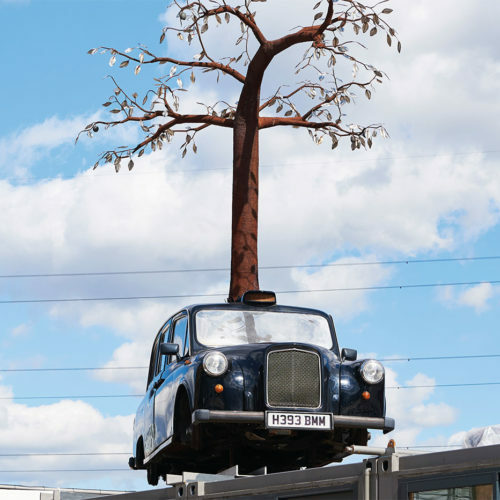 It also has a cinema, one of London’s biggest roof gardens and one of the UK’s largest collections of Public Art. Situated in Poplar – it was the first purpose-built pedestrian shopping area in the United Kingdom. Built as part of the 1951 Festival of Britain – it features a mix of shops, small retail outlets, pubs, cafés and 80 market stalls. The celebrated historic sailing ship was the fastest vessel of its time – and it’s also an award-winning visitor attraction. stunning natural area for people to discover and enjoy in the heart of Greenwich. London’s only cable car – a truly unique experience in east London. Crossing the River Thames between Greenwich Peninsula and the Royal Docks, cabins arrive every 30 seconds and ‘flights’ are approximately ten minutes each way. Exhibitions and international convention centre in Custom House, East London. 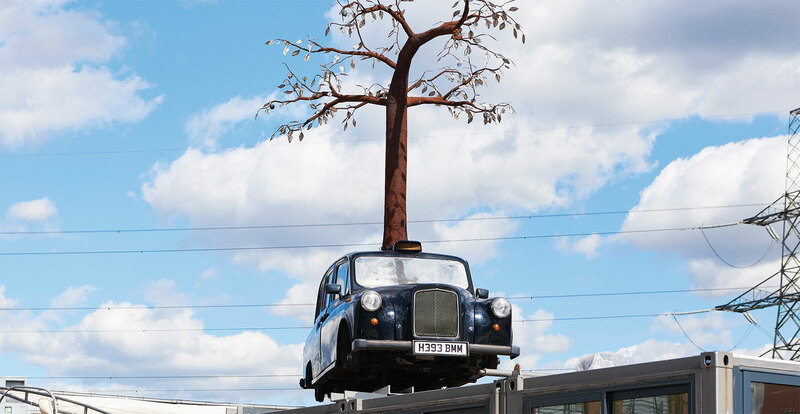 It’s located on a 100-acre site on the northern quay of the Royal Victoria Dock in London Docklands, between Canary Wharf and London City Airport. The only airport situated in London. It provides speedy access to destinations across the UK and Europe including; Edinburgh, Dublin, Glasgow, Zurich, Geneva, Amsterdam. Thames Barrier Park is a 7-hectare green space located in the Royal Docks. It was London’s largest new riverside park for over 50 years when opened in 2000. Aside from the abundant wildlife there is a basketball court, visitor pavilion and coffee shop with views of the river and Thames Barrier. Docklands’ most exciting arts quarter. 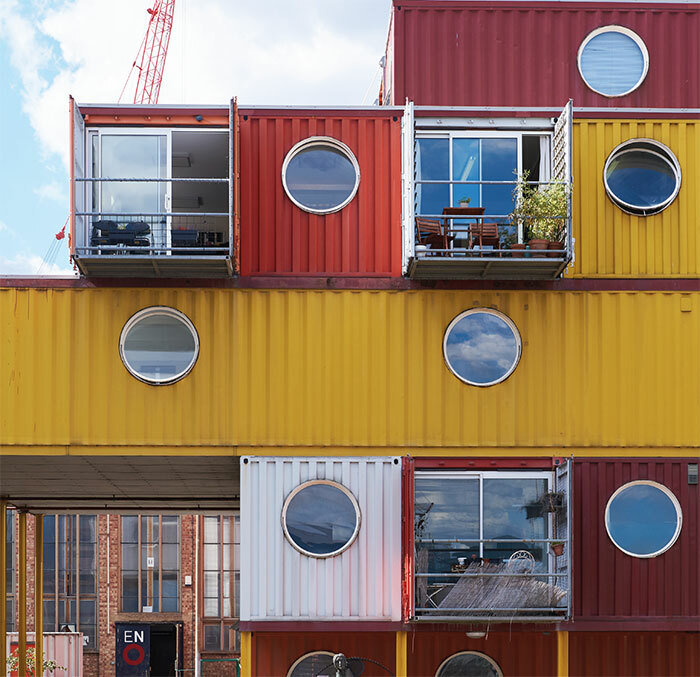 With careful regeneration, Trinity Buoy Wharf offers amenities such as studio and gallery space, a pier, boat club, school, rehearsal rooms and the Container City buildings – a vibrant creative community. Based in Greenwich, the company was founded by Alastair Hook in 2000, and in 2015, he was again named Brewer of the Year. 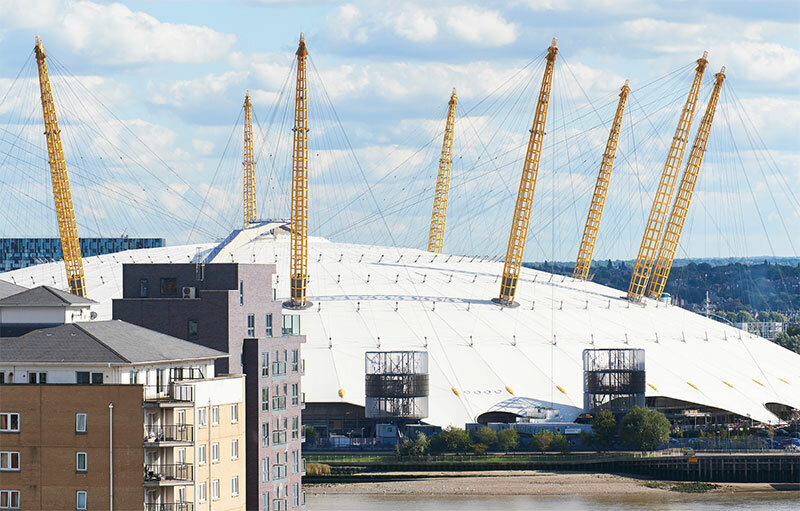 Iconic entertainment district on the Greenwich peninsula in South East London – showcasing some of the biggest names in music, comedy, theatre and sport. Situated within Canary Wharf, Crossrail Place sits above the Elizabeth Line platforms. It has shops and a cinema, as well as a roof garden, which is open to the public. The Crossrail Place Roof Garden is a 300-metre enclosed garden with an abundance of plants and trees which references both the history and geography of Canary Wharf. Limmo Peninsula Ecological Park is a small park on the bend of the River Lea near Republic. It’s a peaceful space with streams, ponds and meadows – and is abundant in wildlife. This island site development includes 1,600 residential units and 20,000 square metres of office space. It will be the English National Ballet’s new home – and offers fantastic Thames views with a range of cafés, shops, restaurants and cultural facilities. Moving to their new home in the new City Island building, they will have four dance studios, each the same size as a performance stage. Four times the size of English National Ballet and English National Ballet School combined current homes – the new space will enable them to be more involved with the local community with plans to expand public engagement with more classes and visits. The London Film School will move to London City Island after 50 years in Covent Garden. The bustling hub of activity in the royal group of docks – it is home to the ExCel Centre. During the year you can try your hand at wakeboarding or literally fly across the docks on a flyboard. Alternatively you can visit one of the waterfront bars and restaurants or stay on the Sunborn – London’s luxury floating hotel. Located on one side of London City Airport’s runway, Royal Albert Dock is home to the London Watersports Centre with a 2,000 metre international rowing course. The University of East London’s main campus is at the far end of the dock. Located on one side of London City Airport, here you can watch planes destined for cities all over the UK and Europe as well as those heading to New York at your leisure. Poplar Union is a community arts centre, showcasing and nurturing local talent through a range of life-enriching events, shows and workshops. It’s the creative heart and soul of Poplar. Fish Island has a long tradition as a home to artists and creative spaces. 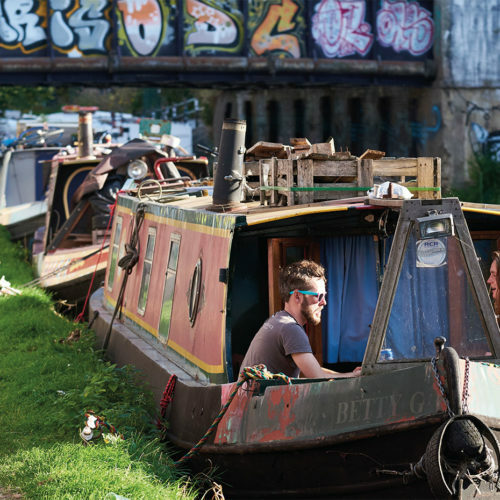 Along with Hackney Wick it is said to have one of the highest densities of fine artists, designers and artisans in Europe. It has also been home to some of London’s most famous food and drink businesses – smoked salmon producer H. Forman and Son has been based in the area since 1971 and it is also home to Truman’s Brewery. Another area becoming a centre of cultural creativity for artists. It is also home to a bustling food, drink and nightlife scene. Home to the London Stadium – it’s free to visit. If you are feeling active then there’s the London Aquatics Centre, the Copper Box Arena, Lee Valley VeloPark and Lee Valley Hockey and Tennis Centre all onsite. For those who want a more gentle pace – there are parklands, waterways, playgrounds and cafés. The largest urban shopping and leisure destination in Europe – it offers high street fashion favourites as well as luxury home and lifestyle brands – with over 250 shops and over 65 restaurants. Situated next to Victoria Park (the oldest public park in Britain) – The village feel here is created by the eclectic mix of boutique shops, café, bars and restaurants. It is also close to the Queen Elizabeth Olympic Park. 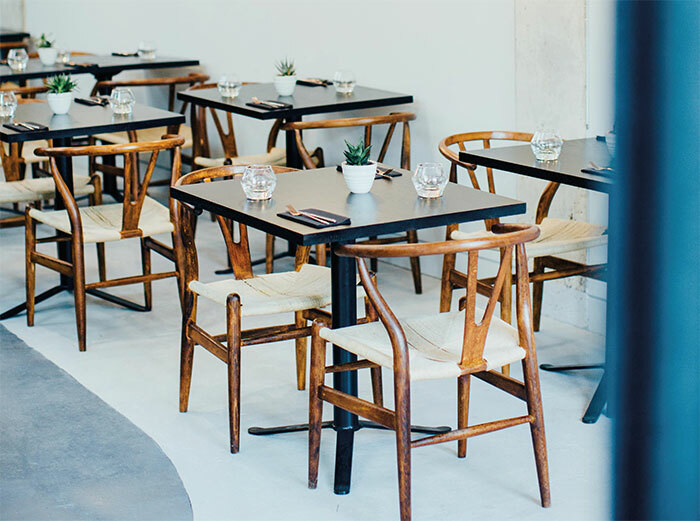 Trained under Nathan Outlaw, Tom Brown’s Cornerstone offers a seafood heavy menu of small plates with a carefully sourced – mainly natural wine list. 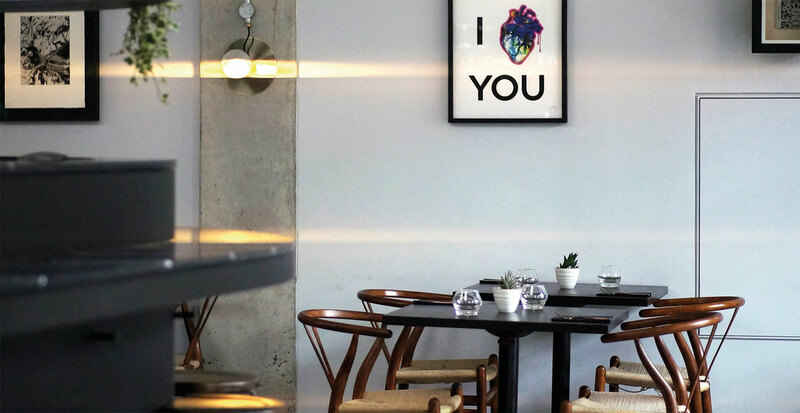 It’s a produce-led modern British restaurant at the heart of Hackney Wick. 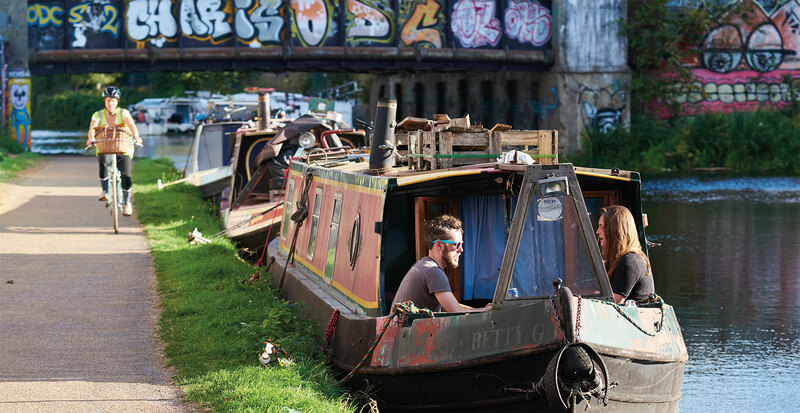 Established in 2012 when the Olympics were in full swing just over the canal, Crate is at the centre of the local Hackney Wick community. Pizza and beer – what more could you want! 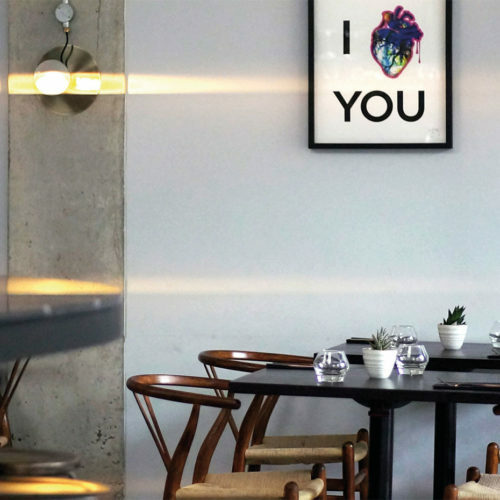 A long time summer favourite of Hackney dwellers, London Field’s is surrounded by small independent cafés, bars and restaurants in railway arches and side streets. 135 stalls now fill the streets on Saturday with amazing sights and sounds from all around the world. Amazing street food, coffee, the freshest farm produce, artisan breads, cakes and unique items from local designers and artists. Historically home to London’s Bangladeshi community, it is a bustling street with warehouse spaces used for art exhibitions, celebrated clubs and bars – and at weekends, a lively market has its home here. For over a century the Whitechapel Gallery has been home to exhibitions from world-class artists from modern masters such as Pablo Picasso, Jackson Pollock, Mark Rothko and Frida Kahlo. It also plays an important role in the contemporary art scene with recent show from artist such as Sophie Calle, Paul Noble, Thomas Struth, Sarah Lucas and Mark Wallinger. With stunning timber beams, indoor and outdoor courtyards, it offers multiple event spaces that are pared-back. At the centre of building a new legacy for Tobacco Dock as the hub of London’s events quarter.